Luxurious contemporary home in an area of 4247 Square Feet (395 Square Meter) (472 Square Yards) with 4 bedrooms. Design provided by Vinod Pulickal, Square Drive Living Spaces, Cochin, Kerala. 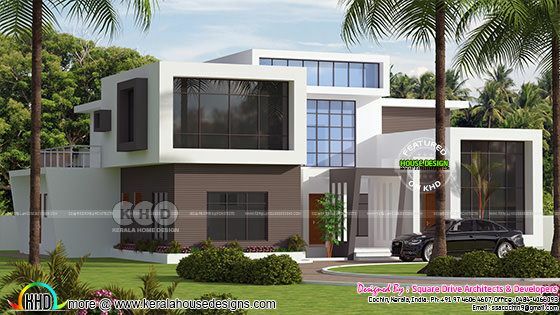 0 comments on "395 sq-m contemporary Kerala home"